Along with the summer has arrived the season of late night parties. People are all excited and ready to welcome it wholeheartedly. Men and women alike will go and do some outdoor shopping to stack up the empty wardrobes. While some are busy in ordering dresses and clothes for themselves from online shopping centers like Kaymu Philippines, others have to worry about the necessary accessories. Women in particular have an arduoustasks to gather and buy the most appropriate and latest jewellery from the market. For that they heavily rely not only on the online shopping websites like Zoey.ph etc. but also on the designer’s online stores where they present some of the samples of their latest collections. For each accessory, there is a plethora of collection. From bracelets to necklaces, to clutches and rings, every item needs special scrutiny before finally being adorned. So, what rings are out in the market for ladies? Rings that glam up the slender gnarled hands of elegant women. Fret not as we bring you some suggestions that can totally emblaze your summer vacations. Gucci, the famous Italian brand for luxury goods and accessories, is now in possession of some very decent and outstanding rings. Rings that are perfect not only for some upbeat parties but also for the tranquil dim-lighted dinners. 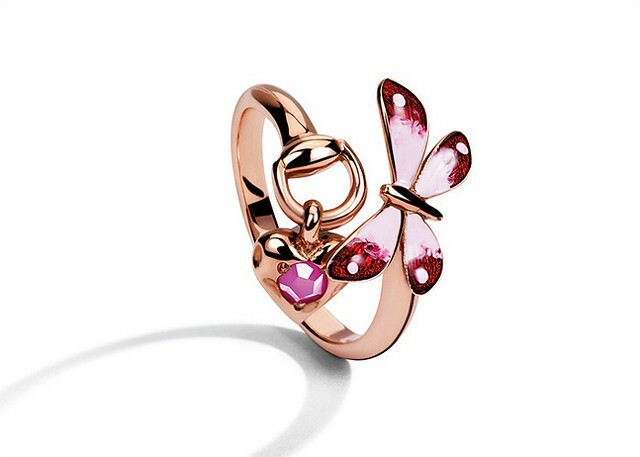 Above is a flora ring in a rose gold, which seems to be made for some crimson or scarlet gowns. Just look close the enamel painted butterfly, which gives it a seasonal impact as well.Absolutely fantastic to wear it in spring and summer seasons. For those who are planning to wear some short skirt while showing their bodice as well, definitely need to adorn their hands with small shiny rings. Nothing could do better than a piece of white gold or diamond shining high. 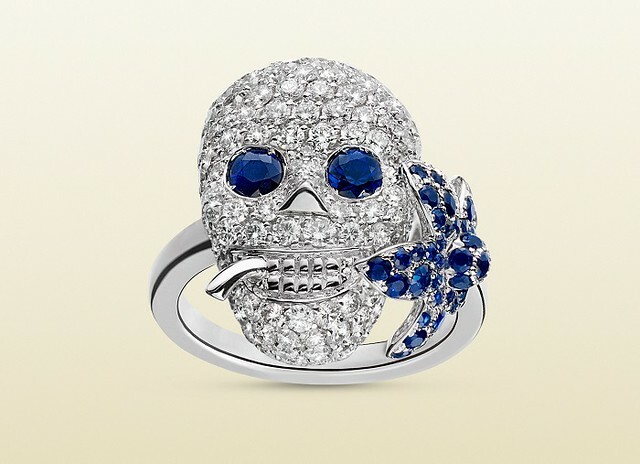 This above Gucci flora ring having a skull studded with sapphires, diamonds and white gold isan ideal deal for those who intend to wear some light colors over the summer season. Chopard, which is a prominent name in the books of women’s jewellery and other luxury goods’ manufacturers. They too, have some classic rings in their store these days. Have a look at this Imperiale cocktail ring. The ring, which has 18-carat gold and other gems studded into it can literally go well on any finger. In fact this could make a nice engagement ring as well. 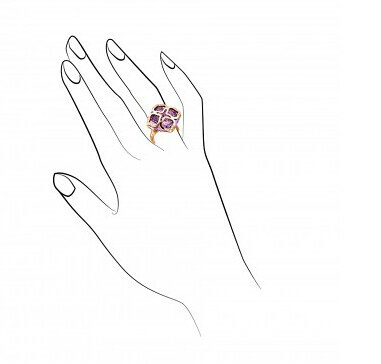 Its large cushion-cut amethyst is nicely engraved in the golden ring. Following is a small sketch, which shows how it looks while wearing. Other collection from the house of Chopard includes some Happy Bubbles rings and Happy Curves Ring etc. Each of them giving desirable flair to the women’s outfits and outlook. So, grab your credit cards and buckle up to do some rings shopping this summer.